Do you have unfinished concrete floor or hard surface in your office or home? One of the best options is to go for sealed concrete. This is a multi-purpose finish that you can apply on any space. It does not matter whether you are dealing with a garage, workshop, living area, outdoor patio, kitchen, or even around the pool. The most important thing is to get a professional who will professionally seal your space. There are s many benefits that come with sealed concrete floors. These include having a cleaner and healthier environment and reducing the need for lighting. Sealed concrete will also enhance the appearance of your space and enhance the lifespan of your concrete floor significantly. It is one of the best ways to add value to your building or floor. Sealed concrete is ideal for the type of projects that require dense and impenetrable concrete floors. Sealing the concrete surface will block moisture and water from seeping into the concrete that always has a porous nature. The other advantage that sealed concrete will bring to your building is that it will prevent dirt and water from penetrating into the concrete as this may lead to dirty discolorations and mildew and molds buildup. Hard surfaces that are not sealed will lead to a stale and musty odor in the home. This odor can penetrate through the whole house. The implication is that sealing the concrete will enhance the hygiene of your home. Apart from this, the water that the concrete absorbs tends to expand whenever it freezes and this may force the concrete to either crumble or crack when under pressure. You will discover that the concrete surface that had a smooth appearance now has a cracked and pockmarked feel. Of course, no one wants to see this in his or her home. Most concrete surfaces are installed around home areas that are characterized by a continuous flow of heavy traffic. Some of these areas include stairways, sidewalks, car parks, warehouse floors, swimming pools, patios, driveways, porches, and garage flooring just to name a few. Sealed concrete is very good when it comes to protecting the floor and preventing damage. The main advantage of the concrete materials is that they provide highly durable and heavy-duty surfaces. However, it has a porous nature that can end up absorbing all forms of spills. Any number of spills and chemicals will mark the concrete surface and give it a dirty and old look. In case you put concrete surfaces in areas that are characterized by high traffic, it is extremely common to come across signs of cracking, pockmarking, and abrasion. It’s quite astonishing when you think about the amount of value of the property you are going to lose just because you did not protect the surface from damage. This calls for a need to seal the concrete floor professionally. You cannot compare the amount you are going to lose by living the floor that way to what you will spend on the process of installing sealed concrete on the surface. Concrete sealing will not only provide a barrier against all the above factors but will also avoid the absorption of chemicals that have the potential to damage the surface like salt water, brake fluid, oil, and staining liquids like wine and juices in both indoor and outdoor dining and living areas. It is the best way to make sure that your surfaces are protected all the time. In addition to all the above, concrete sealing will also enhance the aesthetic value of your home. 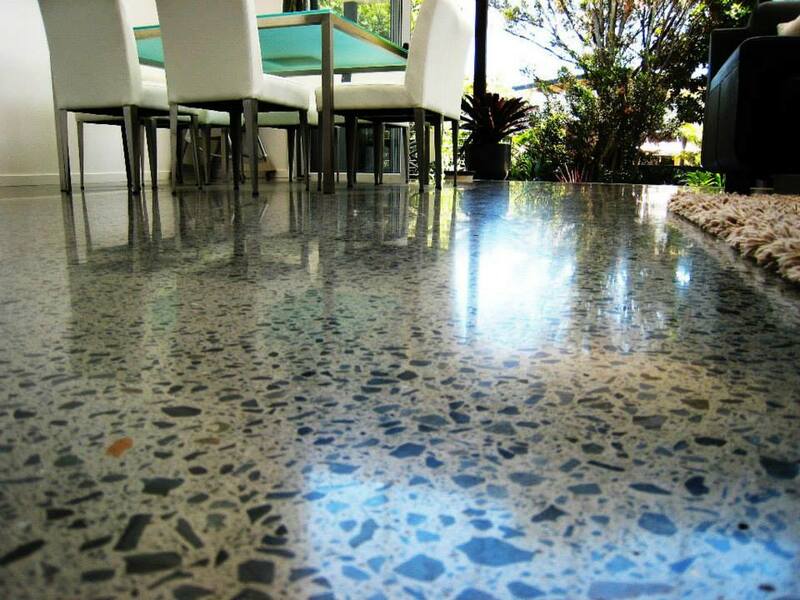 You can give your home a facelift by sealing any unpolished concrete on the surface. There will be no need to paint or add wooden or carpet floors in order to enhance the beauty of your concrete floors. Even after heavy polishing or brushing, the concrete surface won’t appear as fabulous having it done professionally through concrete sealing. Apart from hiding the blemishes, sealing will bring the desired character to your finished floor. It is one of the best finishes that you can give you your floor if you truly value it. The gloss that you add to these floors will end up highlighting the authenticity and quality of your concrete floors. Because of the amount of gloss that is produced, there will be a reflection of light on your floors and this will minimize the need for more lights. What a great way to reduce your utility bills! Shine and luster will bring an urban and modern look to your floors and save you in several ways. The results of sealed concrete are adding beauty and minimizing the monthly utility bills. Therefore, sealed concrete brings together the elements of beauty and functionality quite well. It will also make sure that your concrete surface is protected and enhance its durability sealed concrete is aesthetically functional and adds a lot of value to the home. You can have sealed concrete strategically installed in your home by visiting httpwww.customconcreteorlando.com.